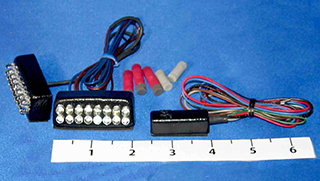 The Universal Kit with running lights comes with a pair of 8 led modules and a computer driven controller. 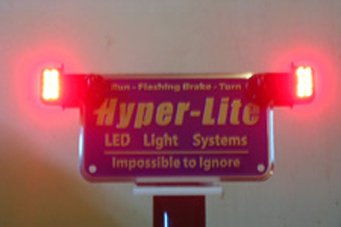 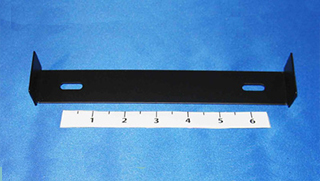 The kit attaches to any smooth surface with 3M two sided foam automotive tape. 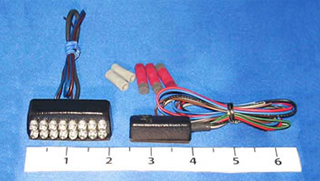 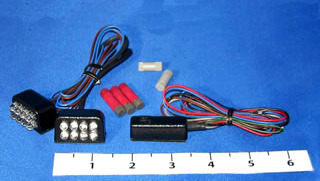 Three wires attach the kit to your bike’s electrical system with top of the line Posi-Tap connectors. 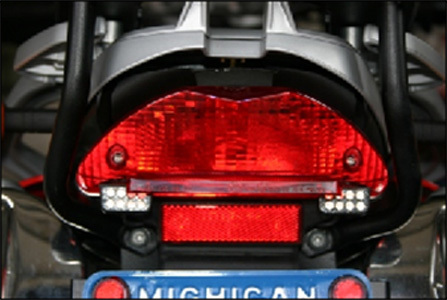 Select the flashing pattern you want with the Flashing Pattern drop down menu.